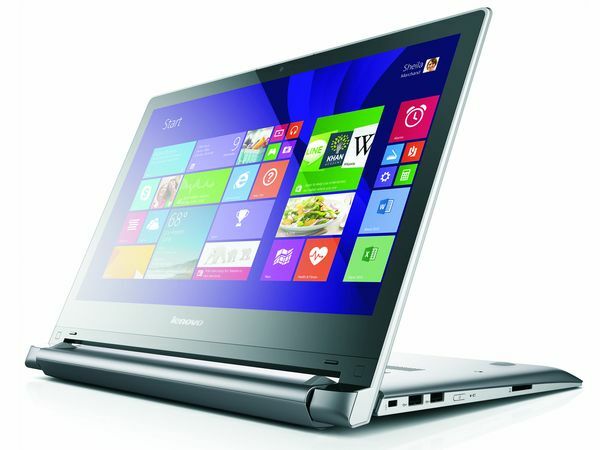 Lenovo has announced a refreshed edition of its budget multi-mode laptop, the Flex series. Called the Flex 2, the new laptop will be available in two screen sizes, as well as AMD APU options alongside Intel Haswell processors. The new Flex 2 laptops builds upon the same affordable Flex series that Lenovo introduced last year. With a hinge design that allowed the screen to be tilted up to 300 degrees as well as a 10-point touch screen, Lenovo claims that the Flex series is a dual-mode device – a reference to its “multi-mode” Yoga laptops. With the new Flex 2 laptops, users can use the Flex 2 in Laptop Mode as well as Stand Mode for using the touchscreen or simply watching your favourite videos closer to you. At the moment, Lenovo did not specifically mention the specs of the 14- and 15.6-inch Flex 2 models, but instead the company mentioned the various hardware options offered on the Flex 2. The new laptops will be available in both Intel 4th-generation Haswell (up to Core i7) and AMD APU (up to A8) processors. The Flex 2 will also come in either NVIDIA GeForce or AMD Radeon R5 M230 discrete GPUs. On top of that, storage options are also aplenty, from huge 1TB hard disks, hybrid hard disks to speedy 256GB SSD storage. And, as usual, Full HD resolution screens and backlit keyboards are optional. Interestingly, the base prices for the Flex 2 14-inch model starts at $799, while the 15.6-inch model is priced considerably lower, from only $429. They’ll only start shipping in June, so it’s likely that we’ll only be seeing these laptops in Malaysia much later this year – not to mention that the original Flex series only made their way here four months ago.. Whether Lenovo Malaysia will be making all five colour options available seems less likely as well.